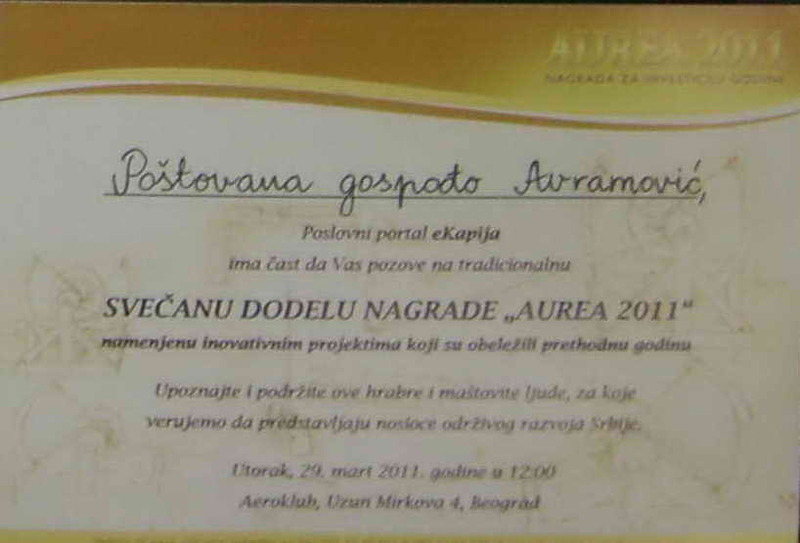 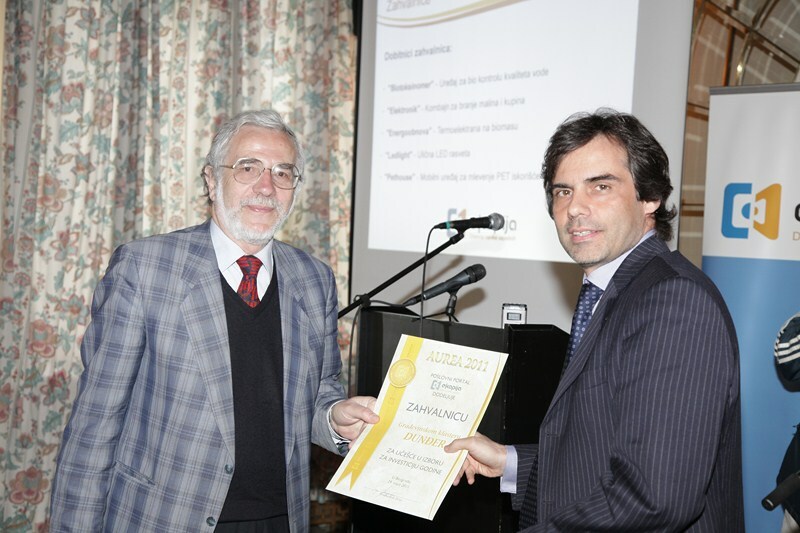 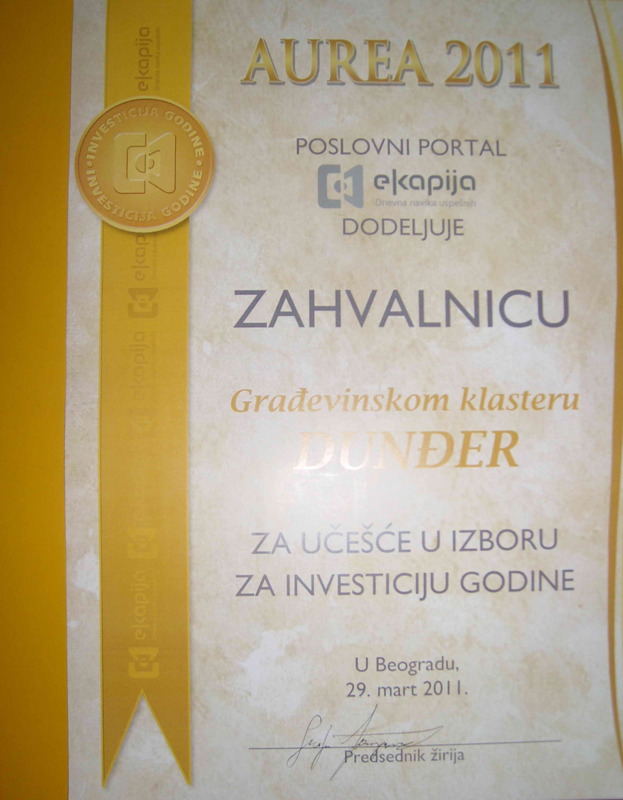 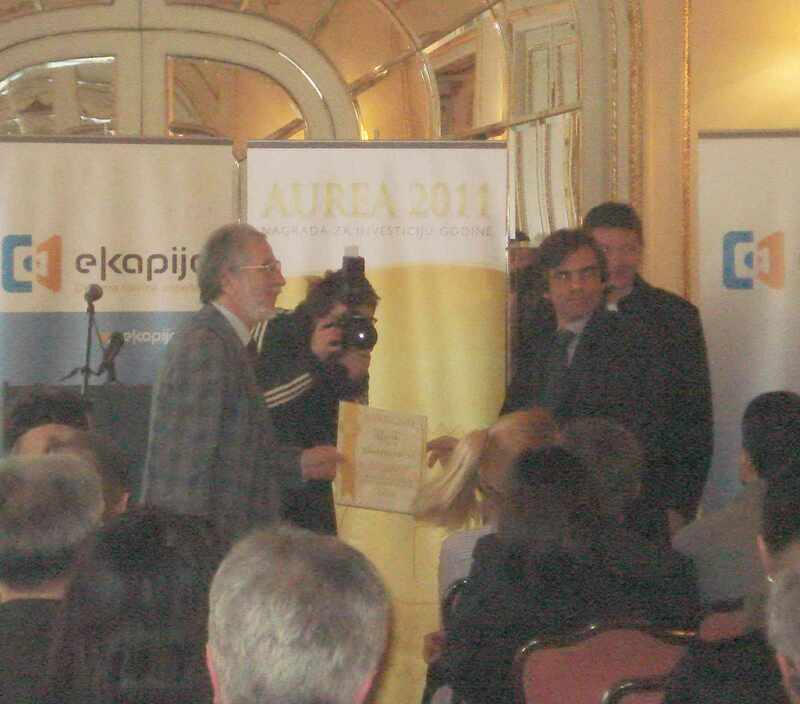 In the competition for the award for the investment of the year 2011, AUREA 2011, construction cluster DUNĐER advanced to the finals with BIOTOKSINOMER, a device for testing the quality of water. 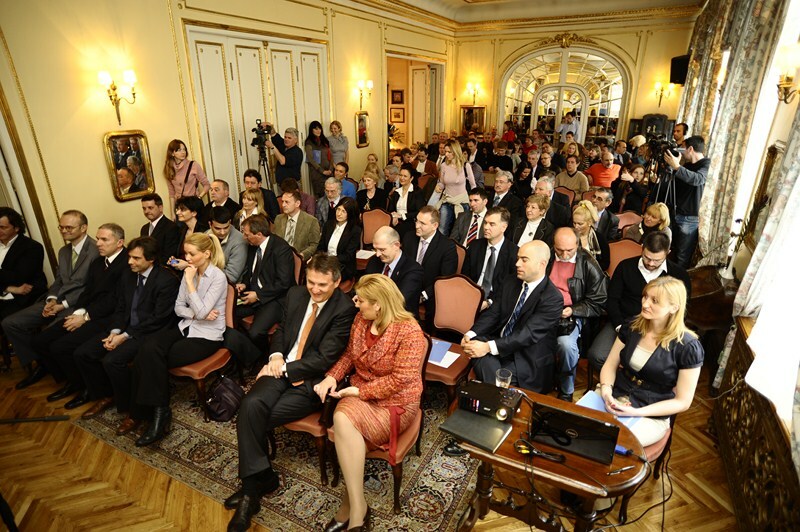 The members of the innovation team presented biotoksinomer: Prof. Dr. Djordje Djordjevic, PhD, Srbislav Nesic, developer and Biljana Avramovic, the cluster manager. 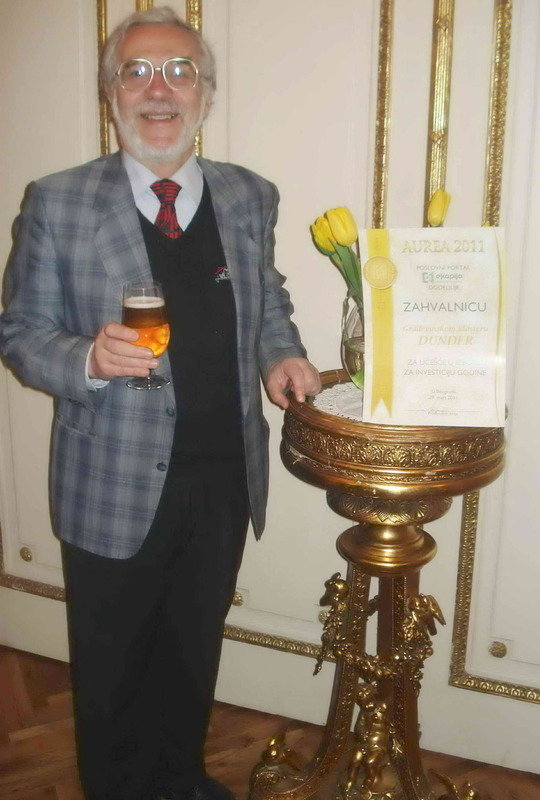 Članovi inovacionog tima koji su predstavili biotoksinomer: Prof. Dr. Đorđe Đorđević, redovni profesor, GAF Niš, Srbislav Nešić, programer i Biljana Avramović, klaster menadžer.